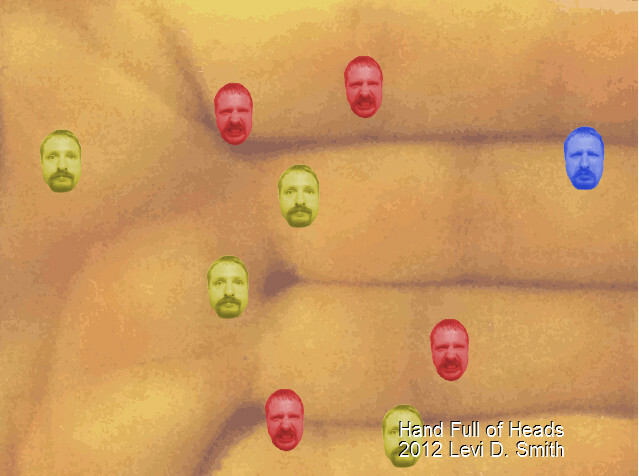 It's a hand full of heads! Add more heads by clicking! Inspired by Conway's Game of Life. If a head is too far away from other heads, it will turn blue and move slowly. If a head bumps into another head, it will become angry, turn red, and move quickly for a brief period of time.